The recent refusal-to-submit law cut the number of Breathalyzer refusals in Florida in half. This law makes refusal to provide a breath or blood sample a criminal offense, as opposed to an administrative infraction. Nevertheless, the Breathalyzer refusal rate in the Sunshine State is still a rather high 40 percent. In refusal cases, St. Lucie County prosecutors must rely on the three government-approved field sobriety tests, which were designed to establish probable cause for the arrest, as proof of intoxication beyond a reasonable doubt. 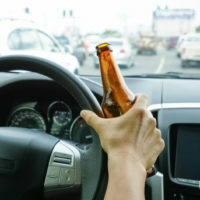 That’s a significant gap, and experienced Port St. Lucie DUI defense attorneys can leverage that gap into a favorable plea bargain agreement or a not-guilty verdict at trial. In the OLS test, defendants must elevate one leg off the ground and stand on the other leg for a pre-set time, which is usually fifteen seconds. If the defendant sways or loses balance, there is a good chance that the defendant is intoxicated. But many officers are overly-strict when they evaluate defendants. They deduct points for technical violations, like holding the leg at a slightly-incorrect angle. Such a failure may have little to do with the defendant’s ability to safely operate a motor vehicle. There is a difference between “safely operate” and “perfectly operate.” An aggressive defense attorney can point this difference out to the jury. HGN is a medical condition that’s sometimes called lazy eye. Most people have probably taken one of these tests at a doctor’s office. Test administrators instruct subjects to follow a moving point, such as the tip of a finger, using only their eyes. If the pupil moves involuntarily at certain angles, the subject probably has nystagmus. There are other problems with this test as well. The HGN test is quite accurate if it takes place under controlled conditions. Roadside HGN tests, with their flashing squad car lights and passing cars, definitely don’t qualify as controlled environments. Moreover, the test administrator must be highly skilled. Most police officers learned everything they know about nystagmus at a brief, police-sponsored seminar. The WAT is also known as the heel-to-toe walk test or the walking-a-straight-line test. A person must walk a certain number of steps, usually ten in each direction, heel to toe. If the person uses arms for balance, stumbles, or sways, the person is probably intoxicated. There are technical infractions as well, such as starting before the officer says “start,” beginning with the wrong foot, or taking the wrong number of steps. Test conditions are an issue here as well. There is a big difference between walking an actual line, like a parking lot stripe, and an imaginary line. Moreover, people with any mobility impairments usually cannot complete the WAT test, whether they are drunk or sober. The field sobriety tests are poor evidence of intoxication. For a free consultation with an experienced criminal defense attorney in Port St. Lucie, contact Eighmie Law Firm, P.A. Home and jail visits are available.